While trimming the tree and decking the halls, keep in mind that cuts, falls, shocks, and burns from decorating send thousands to hospitals every year. The Consumer Products Safety Commission reports that around 14,700 people went to emergency rooms around the U.S. in 2016 from injuries related to holiday decorating. Following these 10 tips for holiday decorating safety will help you avoid accidents this season. Make sure you see a fire-resistant label when buying an artificial tree. Never string lights on a metallic tree. It can cause shocks or even electrocution if the tree becomes charged with electricity. No matter which type of tree you choose, keep all of them away from sources of heat. An artificial tree can still catch on fire. This includes fireplaces, space heaters, vents, and radiators. If using a natural tree, heat will dry it out more quickly and cause it to be more flammable. Keep trees fresh by adding water to the stand. Secure breakable ornaments tightly to the top of the tree, or better yet, use plastic ornaments if you have young children and rambunctious pets. Avoid ornaments or tabletop decorations with small, removable parts. They can pose a choking hazard. Avoid decorations that look like candy around children. Holiday decorating safety means keep burning candles within sight. Put them out before going to bed or leaving the house. Place candles on stable and heat-resistant surfaces and away from trees, curtains, and furniture. Also, place candles where kids and pets aren’t likely to knock them over. A safer alternative to traditional candles is battery-operated candles that have a realistic flicker. You can find certain brands with a remote control and timer for extra convenience. Make sure all your lights have been tested by labs nationally recognized such as UL. Look for the red holographic label stating holiday decorating safety for both indoor and outdoor use. A green one indicates that they are only safe for indoor use. Make sure to use a ground-fault circuit interrupter (GFCI)-protected receptacle or a portable GFCI when plugging in outdoor lights for holiday decorating safety. Look at each set of decorative lights and discard any with broken or cracked sockets and bare or frayed wires while they are unplugged. Plug in undamaged sets and check for loose connections. Check all extension cords you plan to use for holiday decorating safety. Be sure to only use them as they are intended. Don’t use indoor extension cords for outdoor decorating. 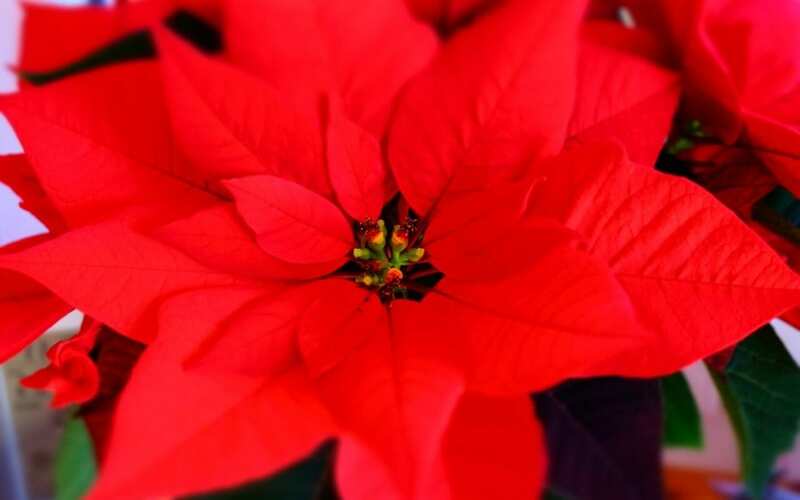 Several holiday plants are dangerous to pets and kids. Holly’s green leaves and red berries, poinsettias, and mistletoe berries are all toxic when ingested. It’s common to dispose of wrapping paper by burning it in the fireplace, but this isn’t a good idea. Wrapping paper ignites so quickly that it could start a flash fire and get out of control. It’s safest to just throw it away or save large, intact pieces to reuse next year. Click here to read our article on home fire safety. Carolina’s Best Home Inspections wishes you a safe and happy holiday season!